The only way to start reading a book that is over a thousand pages long is without knowing anything about it and hoping to find out more by actually reading it … right? I still find myself struggling a little with the idea of actually reading a book holding of which is enough exercise for your wrists for days – it seems unlikely to ever finish a huge long humongous novel. However as soon as I got through the first pages of the book I found myself being just a tiny bit bored – trains? Seriously? Metal? Oh no…. that’s what I thought at first. But the first time I picked the book up I kept reading for a couple of hours and after the first moment and scare of dying of boredom while reading it, I got hooked on it – there’s a strong intelligent female lead who isn’t afraid of physics and engineering! And then there is the story itself – you read and read and get used to one part of the story and then there’s an unexpected twist which makes you keep on reading to see what happens. There’s relationships, there’s philosophy, politics, economic etc in the book and it’s just wonderful with the sense of doom lurking there. For those who’re looking to find out about the plot: it’s about industrialists for whom life is being made difficult by the government and a time of emergency and ridiculous laws while the whole country is in chaos, could even say that it’s a dystopia where you see a little of why communism wouldn’t work in real life. What I loved was that you see people who love their work and who don’t want to give up no matter what happens, and then there are characters who make work a nightmare for everyone. It is certainly a book that makes you think about life, people, needs, sacrifices and work. If you have the time to spare, I’d highly recommend reading this book. 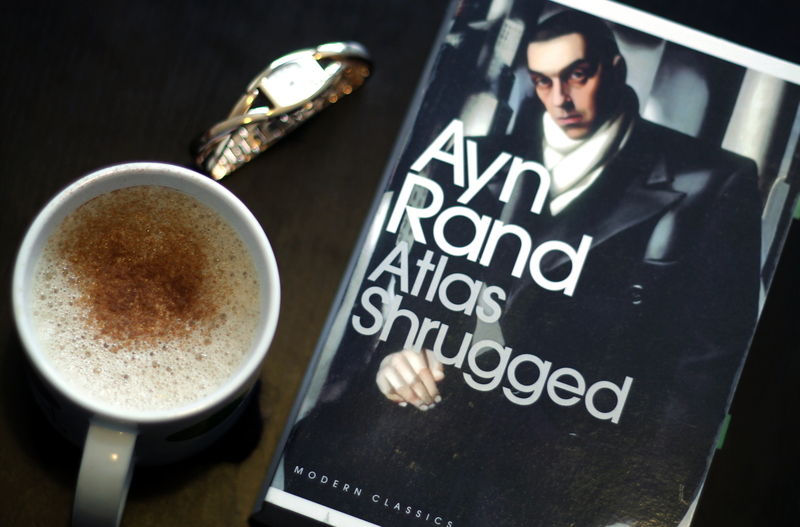 This entry was posted in Fiction and tagged Atlas Shrugged, Ayn Rand, book review, books. Bookmark the permalink.